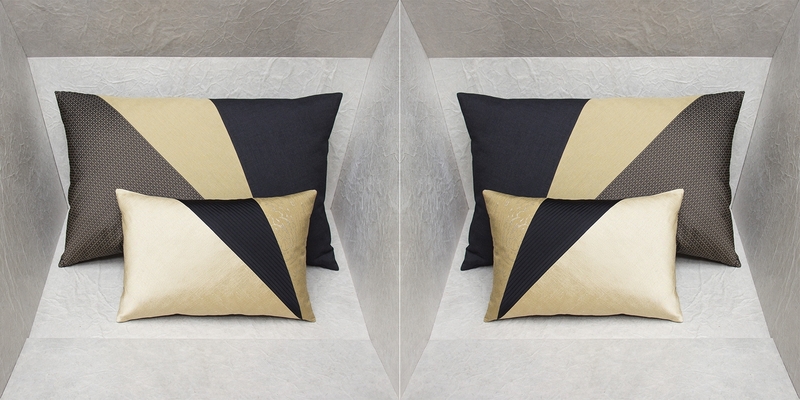 These 4 perfectly symmetric, original cushions are totally complementary, forming a majestuous ensemble that will add a unique touch to your bedroom or living room. 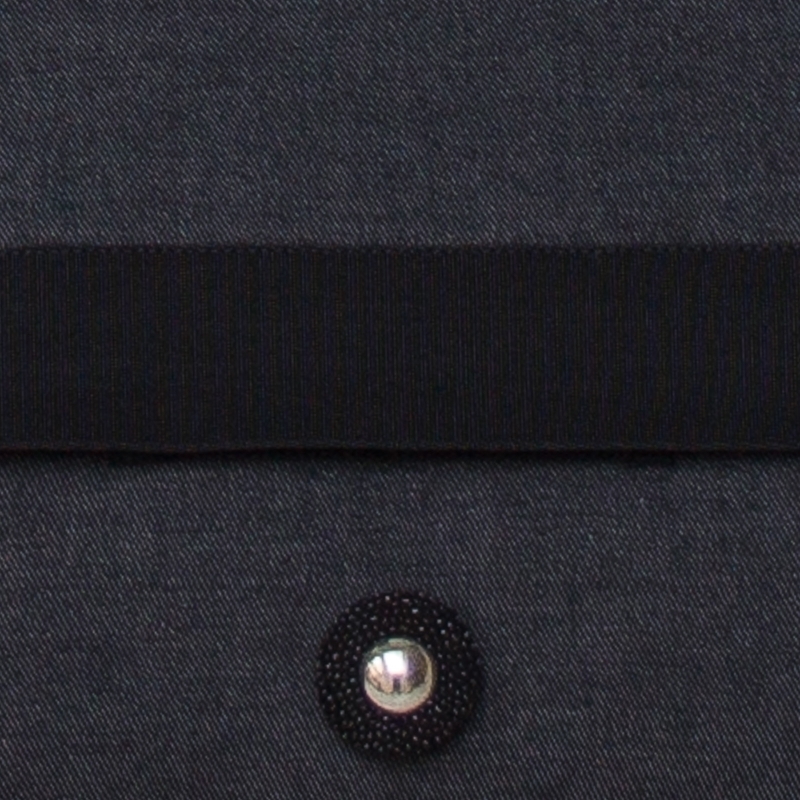 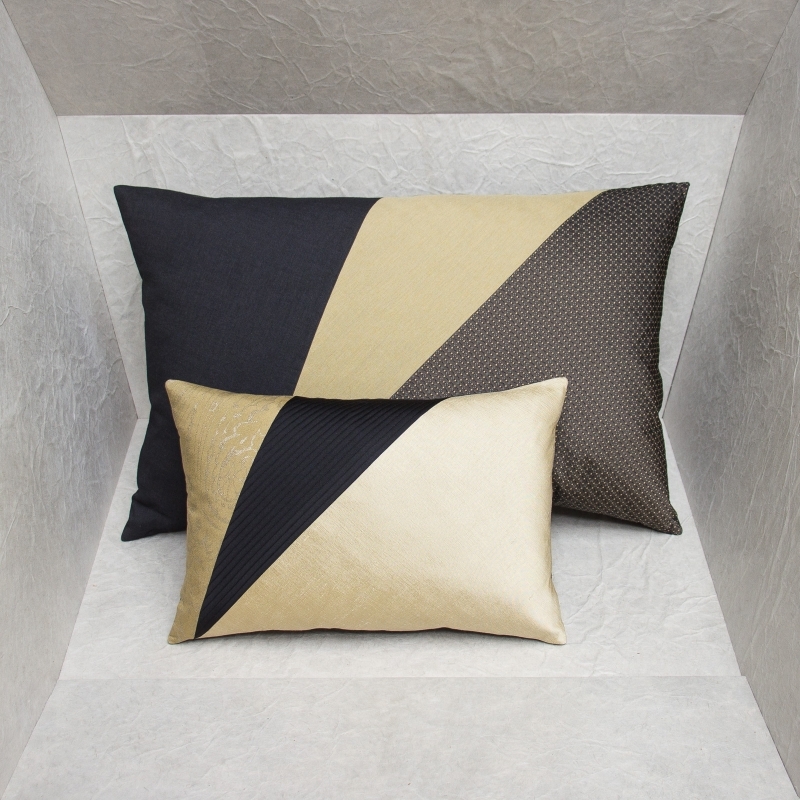 The modern style combines precious, raw fabrics in delicate colors which fit in wonderfully with all warm interiors. 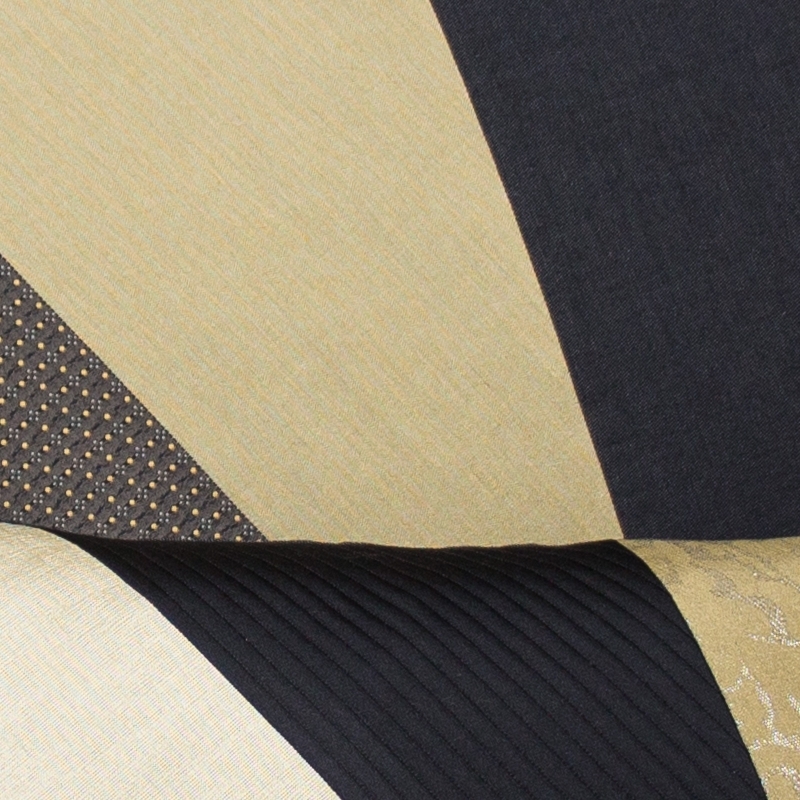 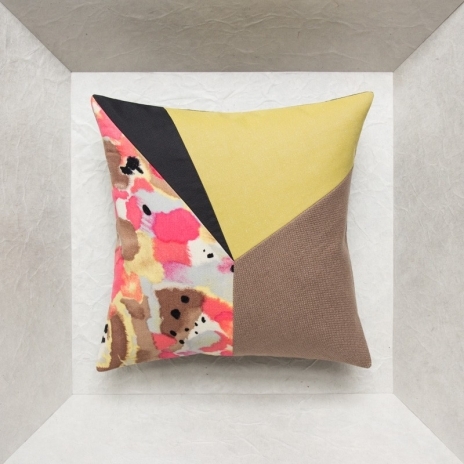 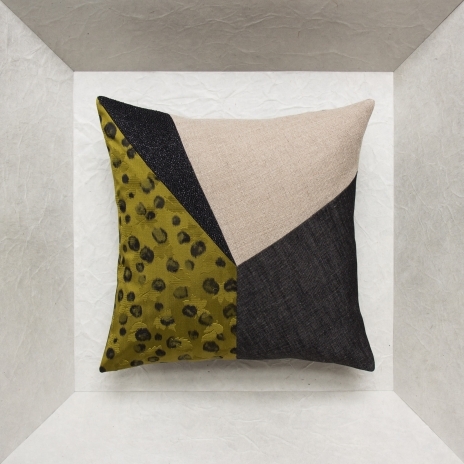 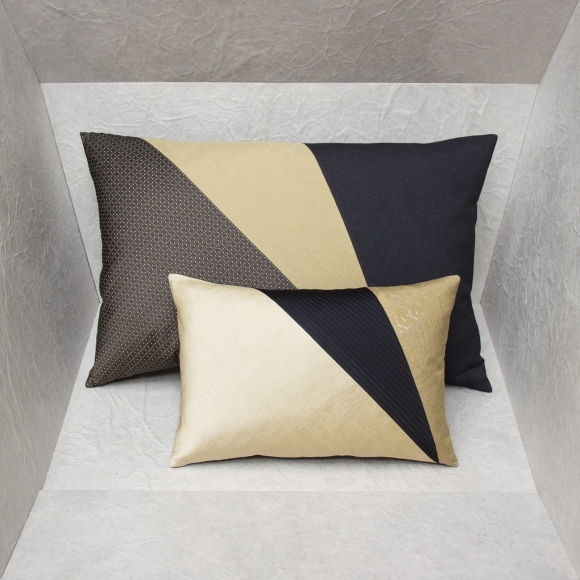 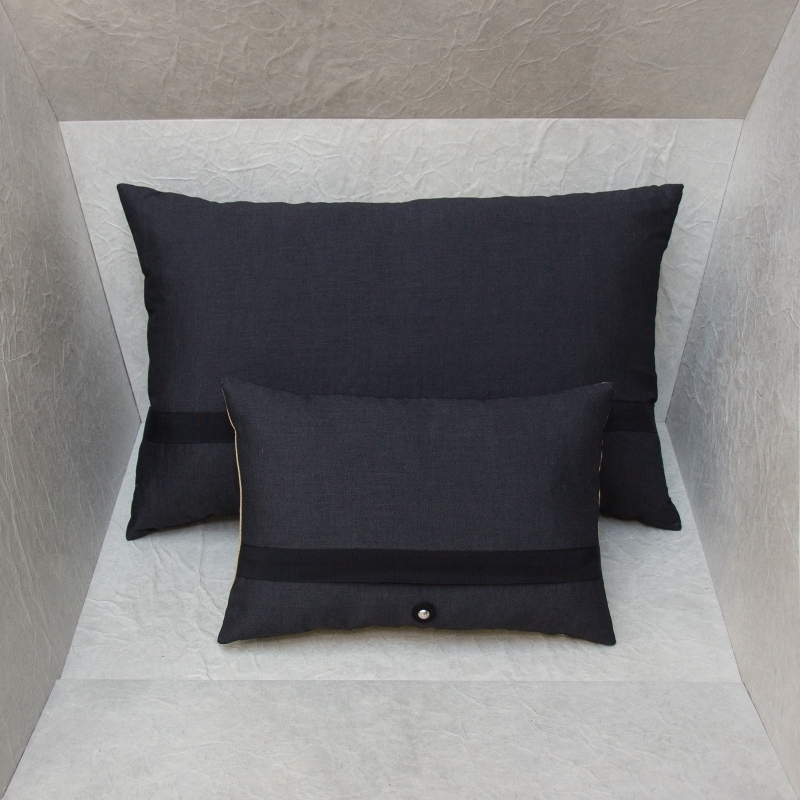 The quartet's fabrics match in two ways: the large cushion has a black satin blend with small yellow dots, a fine topaze yellow wool satin and slate grey linen canvas; the small cushion has dark grey cotton denim, incarnadine pink ramie and a topaze yellow silk blend with silver thread patterns.